What's wrong with a burger and a slider? Not a thing. Wash that sllder down with a cold beer. 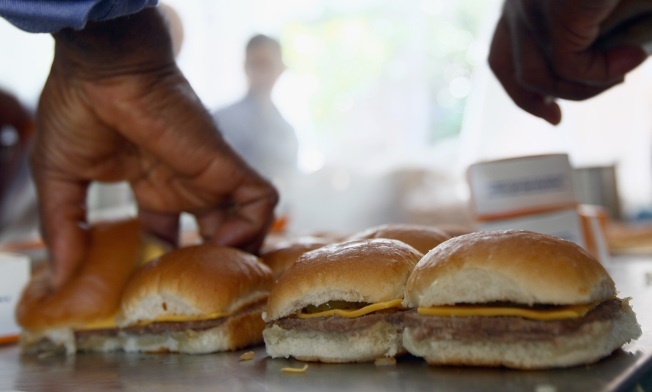 Slider king White Castle is test marketing beer and wine sales. The Columbus, Ohio-based burger chain has suds and vino on the menu at a location in Lafayette, Ind., and could decide to go nationwide with the alcoholic beverages. A company spokesman told The Columbus Dispatch customers have given their approval. A glass of wine goes for $4.50 and a domestic beer $3. The 90-year-old chain was founded in Wichita, Kan., where the steamed burgers intially sold for a nickel apiece. While it doesn't have nearly te number fo stores as the bigger burger chains, its revenues-per-store are second only to McDonald's, according to The New York Times.